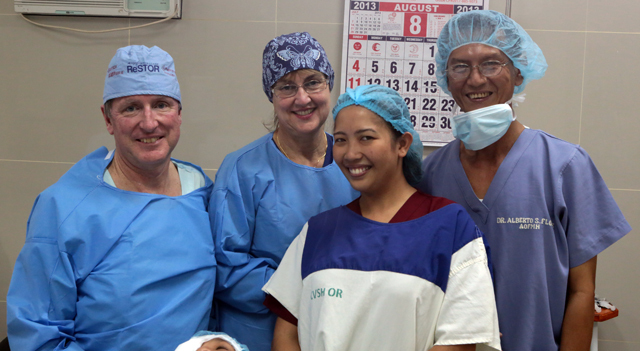 It’s the last day for the OHI Gift of Sight Team here in the Philippines. The week has had its ups and down for everyone however the life changing results far outweigh the challenges faced by the team and have been quickly forgotten. The last surgeries for the Binwinican Family have now been completed, and we are pleased that there is major improvement for all four family members. The doctors are optimistic their vision will only improve further in the coming days. Herbie will be back in over the next couple of weeks to be tested and fitted for his new glasses with the help of our the amazing local team we are working with. 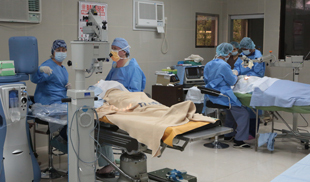 Dr Painter and Kerrie will squeezed in a couple more extra operations today before they pack up and head back to Manila. In all, 20 surgeries have been completed by the OHI team and local surgeons and thanks to all the staff at the Adventist Hospital Santiago City, the remaining patients will be monitored over the next couple of days before they head for home to begin their new lives. For me, I’m about to board an overnight flight back to Sydney and will start working on some more OHI videos as soon as I touch down. Please keep an eye out for it on the website very soon. On behalf of myself , Doctor Painter and Kerrie Legg I would like to thank everyone at the Hospital for all their help, kindness and generosity and for making this trip the success it was.